A large, approx. 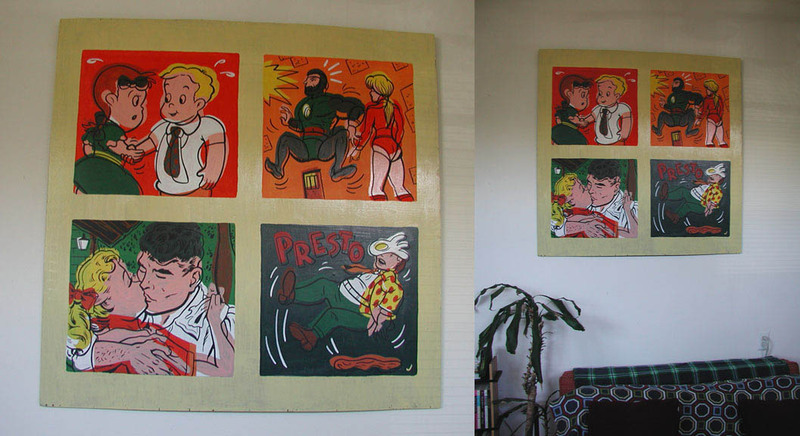 4 ft. by 4 ft. acrylic on wood comics-inspired painting. Designed to hang above your couch or over a bookcase full of your favorite comics and graphic novels.